The American Carbide Tool carbide-tipped lathe tool bit has a BR style with a right-hand cutting direction and a C4 grade for lead angle turning, light planing, boring, milling, and facing applications on cast iron and nonferrous materials. The BR style tool shape has a 15-degree side cutting angle and provides a right-hand cutting direction for right-to-left feed. The tool tip is made of C4 grade uncoated carbide for good wear resistance and is brazed onto a steel shank for strength. 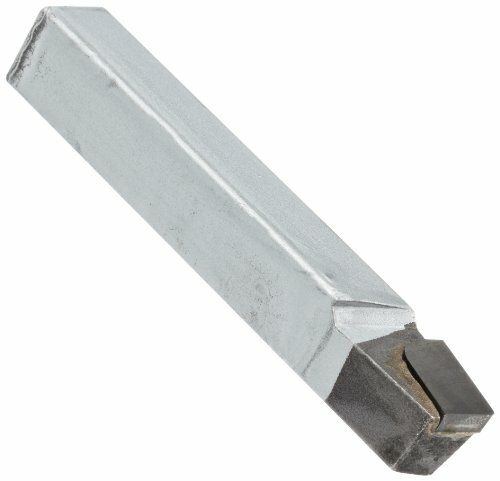 The square shank fits square toolholders.